Teacher. If you are interested in allowing children to reach their educational potential then this may be the career for you. Once you have decided to become a teacher the next big decision you need to make is what age group children you would prefer to work with, whether it is early years or teenage children. There is always a need for teachers, and this could provide you with a rewarding career. Salary is within the region of $57,000 annually. Paediatrician. A paediatrician is a doctor who goes on to specialise in the health and care of children. it can take a long time to become qualified in this profession, but once qualified this role could see you earning a very good salary. You are looking at a minimum of 8 years training. A paediatrician can expect to earn in the region of $130,000 per year. Neonatal nurse. Neonatal nurses work with babies up to the age of 2. Babies may be premature or have a particular illness or disability which means that they require specialised care. In order to become a neonatal nurse you will need to gain your nurse qualification and then specialise further. This can take a minimum of 6 years training. Salary is within the region of $70,00, though this can differ depending on location and level of experience. Nursery worker. 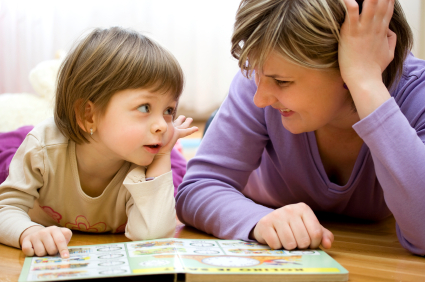 A nursery worker looks after young children, usually whilst their parents are at work. Nursery workers provide stimulating activities for the children and also provide personal care as required by the child. A nursery worker can expect to earn in the region of $18,500 per year. Child psychologist. Child psychologists deal with the different needs of children, whether that is psychological, social or behavioural needs. Work is available in both the private and public sector and your work may involve you assessing children and providing treatment plans to enable them to reach their full potential. Salary is within the region of $64,000 annually. Types of child psychology jobs available include developmental psychologist, family therapists, educational psychologist and school psychologist.